Case tractor and pulling page! Wayne's DC pulling in the rain at Brady, he got a full pull and ended up third in the pull off. 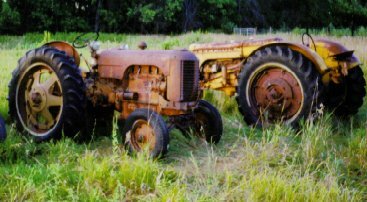 I saved both of these tractors from being scraped this spring.